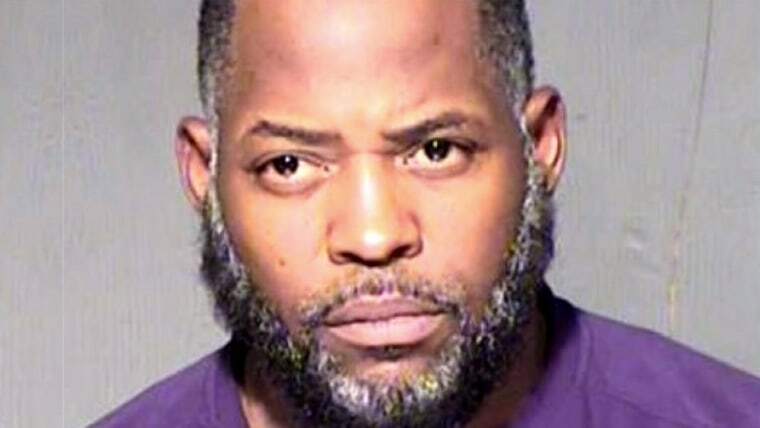 PHOENIX — An Arizona man already accused of helping plan an attack on a Prophet Muhammad cartoon contest in Texas in the spring also planned to fight with ISIS and inquired about explosives to attack a Super Bowl game, an indictment states. The document released Wednesday charges Abdul Malik Abdul Kareem with conspiracy to provide material support to a foreign terrorist organization. Prosecutors allege he researched traveling to the Middle East to fight alongside the group and inquired about the types of explosives that would be needed to blow up a mall and the stadium in Phoenix where the 2015 Super Bowl was held. Kareem's attorney, Daniel Maynard, didn't immediately return a call seeking comment on Thursday. Kareem is accused of researching the trip and seeking the pipe bomb information with Elton Simpson and Nadir Soofi, who were killed in a May 3 shootout with police outside the cartoon contest in Garland, Texas. An earlier indictment accused Kareem of providing the guns used in that attack, hosting the gunmen in his home to discuss the contest, and practicing shooting with Simpson and Soofi in the desert outside Phoenix. The new charge alleges he encouraged Simpson and Soofi to carry out violence in the United States in support of ISIS and impose retribution for U.S. military actions in the Middle East. A section of the indictment describing Simpson and Soofi's trip to the cartoon contest says they were carrying a printed paper version of the Islamic State flag. Cosme Lopez, a spokesman for the U.S. Attorney's Office in Phoenix, which is prosecuting Kareem, declined to say whether authorities believe the Texas attack was carried out on behalf of ISIS. Maynard previously said the case was trumped up and based largely on an unreliable confidential informant. Maynard has sought to stop prosecutors from using al-Qaeda promotional materials found in Kareem's possession as evidence during his trial. A ruling has not yet been made on the request. The indictment says Kareem, Simpson and Soofi began in 2014 to conspire to support ISIS and considered targeting military bases, individual military service members, shopping malls and the Super Bowl. It says Simpson and Soofi drove to Yuma and other spots in Arizona near military installations after discussing the plan to attack bases. In a bizarre turn, authorities say Kareem faked having being struck by a car in a parking lot and later tried to make an insurance claim in a scheme intended to support the conspiracy.